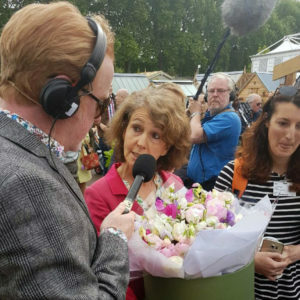 “I first visited the RHS Chelsea Flower Show with my mother Elspeth in 1980 and was hooked immediately by the skill and passion of the exhibitors and the perfection of the plants they were displaying,” says our founder and flower farmer Rosebie Morton. There are two sides to our business: we are both sustainable English flower farmers and florists. From our farm, we sell direct to the trade or via New Covent Garden flower market. Then we have a London flower shop in Chelsea Green that offers same-day London delivery, corporate flowers and flowers for weddings and events. 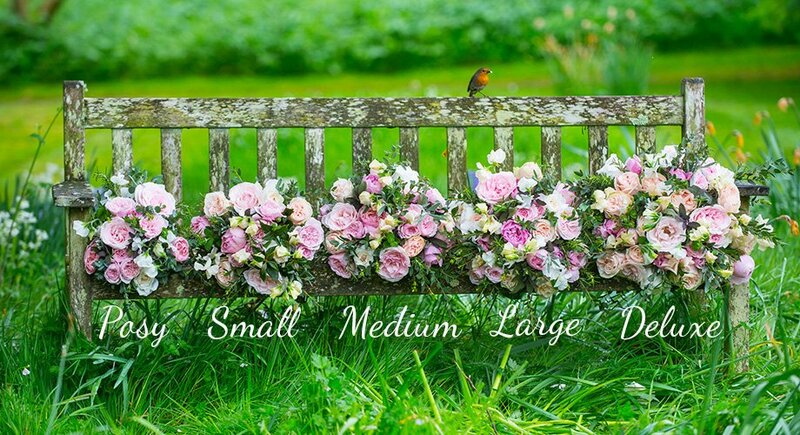 You can also order bouquets online that are hand-tied in our Hampshire workshop and delivered next day throughout the country in our signature green boxes. People often know us as either flower farmers or florists, but don’t realise we are both. This year’s RHS Chelsea Flower Show is only a few weeks away – the event runs from 21 to 25 May. Our preparations have been under way for months and we’re feeling a mix of excitement and panic about the task in hand! “The UK is loved for its seasons and we feel that it is important to work with seasonality wherever possible and to embrace the beauty it brings,” says Rosebie. And as we grow our flowers naturally, we’re in the hands of Mother Nature – “we just never know what nature might throw at us, so we try to keep all our options open,” says Rosebie. Currently our English scented sweet peas are being cajoled into action – “they are now 15cm high and looking good!” says Rosebie. “We’re also growing some wonderful grasses in the rose paddock to help with the structure and layout of our display.” Rosebie is working closely with our head florist Jay Archer, designing the display’s centrepiece and arrangements. Jay has always championed seasonal and sustainable flowers and is known for her innovative floral installations so we can’t wait to show you what she and Rosebie have come up with. 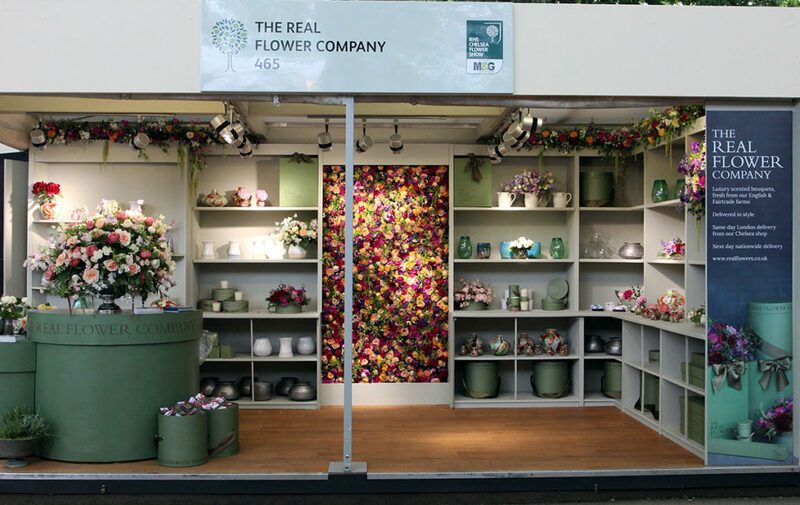 If you are visiting the RHS Chelsea Flower Show, do stop by to say hello and smell the roses – we’re at GPC167 in the Great Pavilion. You can discover our highlights from last year’s RHS Chelsea Flower Show here.